ActionSetting up workshops on philosophy and mindfulness in schools. In an ultra-connected world where the flow of information on social networks is accelerating, many young people are finding themselves in a situation where they have lost their bearings and are at risk of succumbing to bigotry and extremism of all forms. Exposure to inappropriate content and false information on their screens could risk altering the quality of both the social bond between children and the bond they have with adults. In view of the risks that this new environment poses, it is now vital to help children distinguish, from an early age, between the real world and the virtual world and separate the essential from the superfluous, and support them in developing the skills and behaviour they need to live together. The SEVE Foundation supports and contributes to innovative projects in the field of education and holds national and international workshops in philosophy and mindfulness, to help children develop critical thinking and socio-emotional skills. The aim of these ‘philo workshops’ is to encourage children to develop their thinking, accept their emotions and learn to respect other people when communicating – human qualities that are essential for them to grow into active and conscientious individuals and contribute to building more responsible and peaceful relationships for tomorrow’s world. To facilitate the creation of philosophy and mindfulness workshops, the SEVE Association has developed a training programme aimed not just at the teachers who wish to incorporate it in their classes, but also at parents and educators. They also run philosophy workshops directly with young people in schools and social and cultural centres. In addition, the SEVE Foundation supports, leads and raises awareness to projects by individuals and associations that promote the development of these skills, or that ‘promote good heads rather than full heads’. Organisation of workshops on philosophical reflection and meditation at schools – targeting around 110,000 children as beneficiaries over 3 years. Training for educators running these workshops – 1,000 attendees per year. Promotion and support of ground-breaking initiatives in life skills and coexistence. 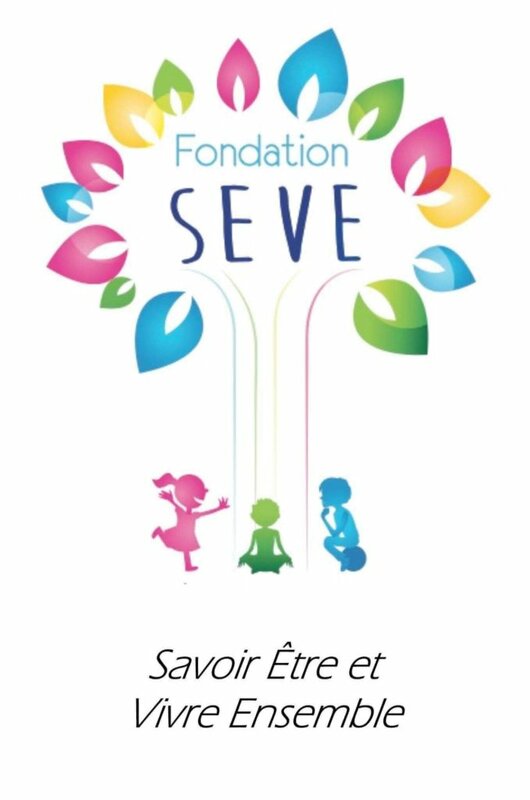 The SEVE Foundation was set up in 2016 by Martine Roussel-Adam and Frédéric Lenoir to help children to grow with judgement and compassion. Its aim is to promote the development of life skills and coexistence skills, working alongside and in line with the national curriculum. The SEVE Association is the operational right arm of the SEVE Foundation and operates via workshops in philosophical reflection and mindfulness, which are held directly in educational establishments (schools, libraries and cultural centres), and organising training sessions to impart the skills to run similar workshops for children and young people.